Google updates its algorithms almost daily, but once in awhile some changes are so large they get named after fuzzy creatures. We’ve all heard about “Panda” and “Penguin” and basically they all involved cleaning up the web and were in fact great changes. If your web site was hurt in the process, chances are you used the wrong company for Search Engine Optimization (SEO). There have been other changes which are just as important. “Caffeine” is one that rewarded sites that loaded quickly (which makes mobile viewing more pleasurable). “Pigeon” shook up how local listings (think map listings) are displayed. In my opinion, Pigeon was a very important update but I hear very few experts discussing it. The latest update is so big that Google actually gave a warning about it months ago. 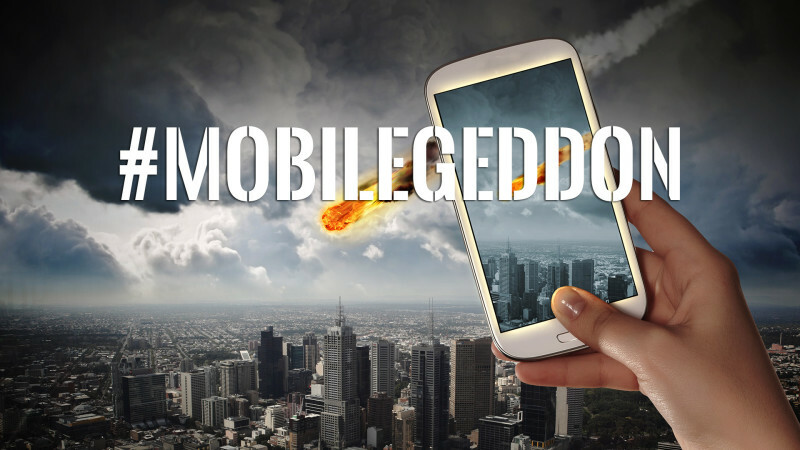 The update that hits today (4/21/2015) has been given a name by the SEO community – “MOBILEGEDDON”. 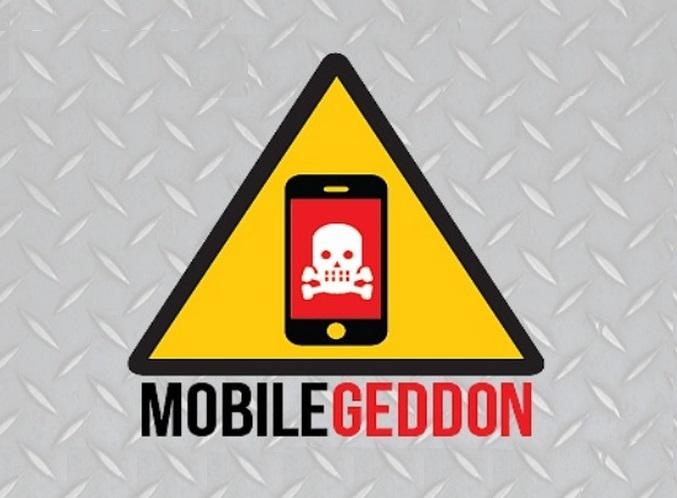 It is such a highly discussed issue that you can follow its popular hash tag #Mobilegeddon. Now before you get too excited about the following information, please note that Google has said it may take a couple of weeks to roll all the changes out. So your site may or may not be affected today. This is good and bad. It’s good because if you have issues you may have time to fix them. It’s bad because some webmasters will get excited because they still have great rankings today, but in a week they may not anymore! Google really wants to improve the mobile experience. Therefore, in a nutshell, your site has to be mobile friendly. In the past, you were rewarded through higher rankings if your site was mobile friendly. If your site was not, your rankings were lower. 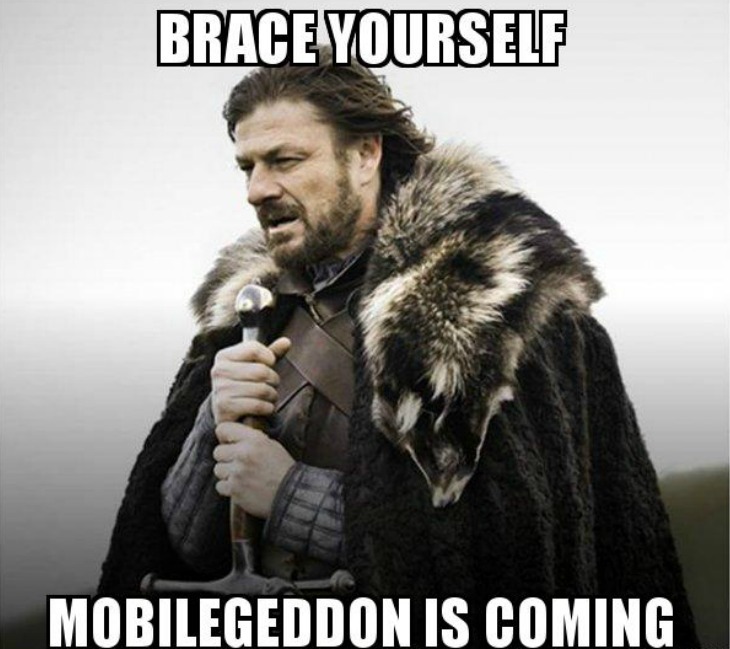 Well, as of today, if your site is not mobile friendly it will not be lowered in the rankings anymore. As a matter of fact, it will be dropped completely from the search results on mobile devices. So if your site is mobile friendly, you have nothing to worry about. If your site is not mobile friendly, you will only show up in search results originating from desktop PC’s and some tablets basically. If anyone runs a search from a mobile device, your site will not show up. Considering that some statistics show that over 30% of all searches come from mobile devices (some say 50%! ), you will probably lose 1/3rd of your site traffic. That’s significant. Mobile friendly means your site adjusts for smaller screens. This can work in various ways. One is called a “responsive” web site. The site responds to the device viewing it for best sizing. There are also completely mobile sites that users get directed too if they come from a mobile device. There are many other techniques to adjust the size. Mobile friendly also means your site loads quickly, pictures don’t get dropped because of sizing, no excessive use of Flash components, unplayable videos, etc. What Do I Do if My Site Does Not Pass? Your site may just need a few quick fixes or you may need a whole new site altogether. If your site is old and dated and you have been wanting to change it, perhaps it is time to invest in a new one. In the end a new site could be cheaper than dozens of small fixes to a site that needs to be redone anyhow. To give you a dollar idea, we sell WordPress responsive sites starting at $1,800. There are many cheaper companies and many more expensive – but you get what you pay for. Please note, Google will come back and constantly scan and test your site with its robots. So if you fix your mobile issues, you can get back in the mobile search results later.